What are you doing on April 15th? You should come to the Spring Fair! It’s like the County Fair, but springier! They’ve got rides, they’ve got food, they’ve got the Velveteen Band. What more do they need? There’s arts and crafts! Agriculture! Face painting! It’s all ages! We’re especially looking forward to having the Baron’s photo taken with the Easter Bunny, so we can finally put THAT rumor to rest. 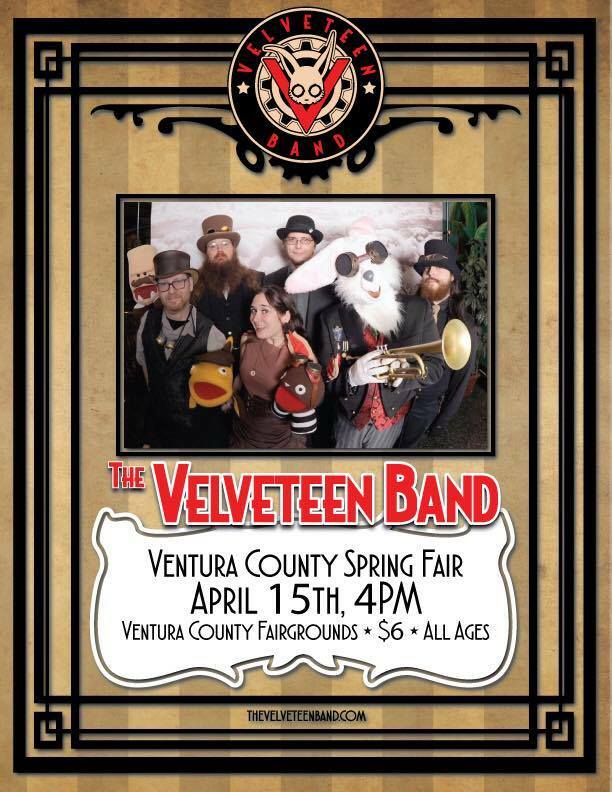 The Spring Fair runs all weekend at the Ventura County Fairgrounds, but we’ll just be playing on Saturday, at 4pm. Previous PostHey, look. It’s Doc!Next PostREMINDER: Ventura County Spring Fair, this Saturday!